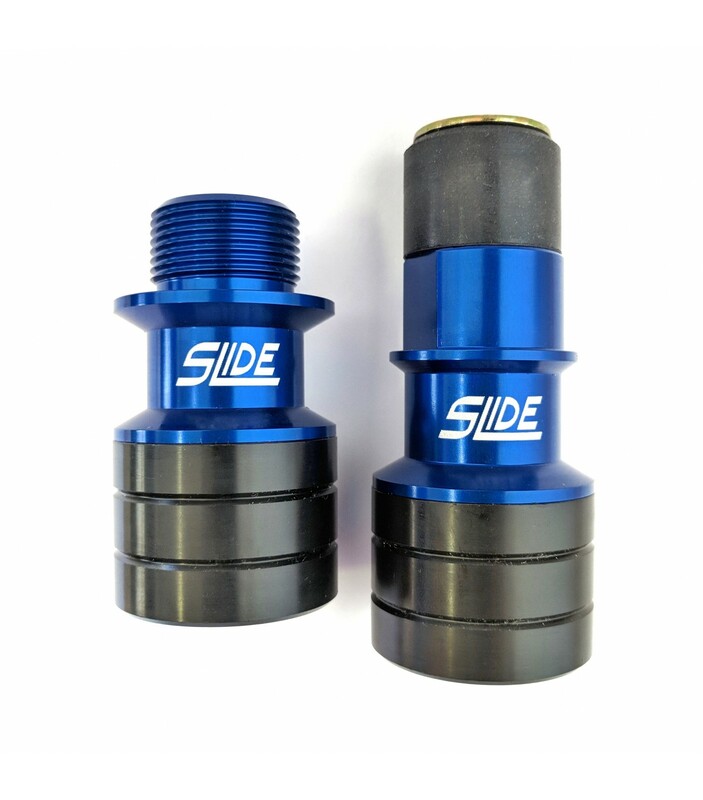 For truly the best axle sliders on the market, look no further than SLIDE! 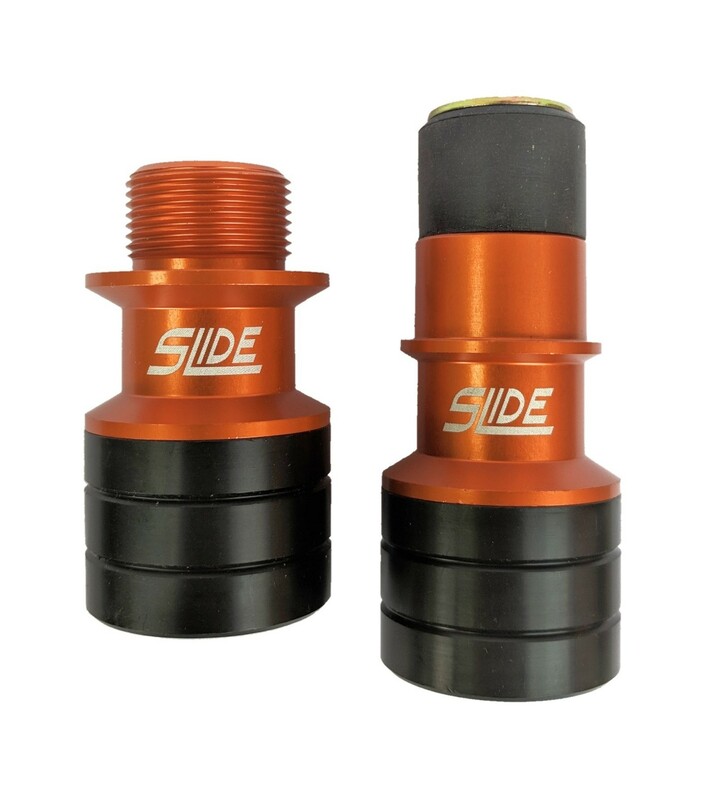 These front axle sliders don't involve any all-thread or other clumsy hardware. 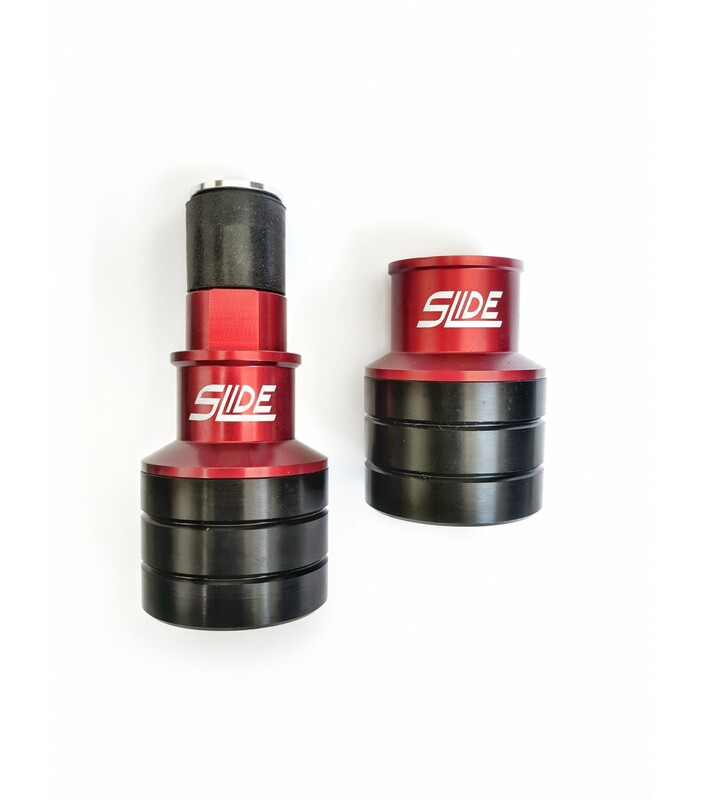 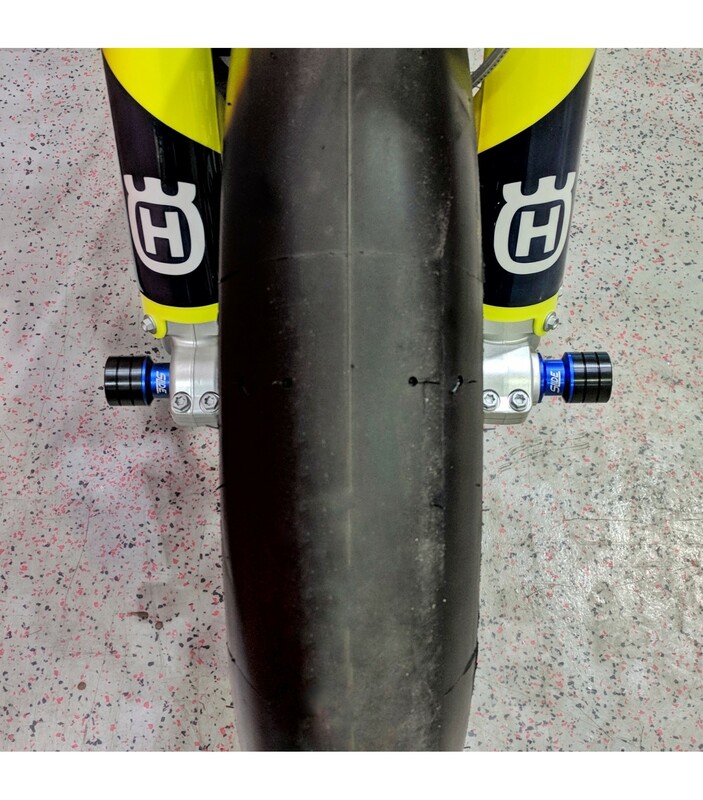 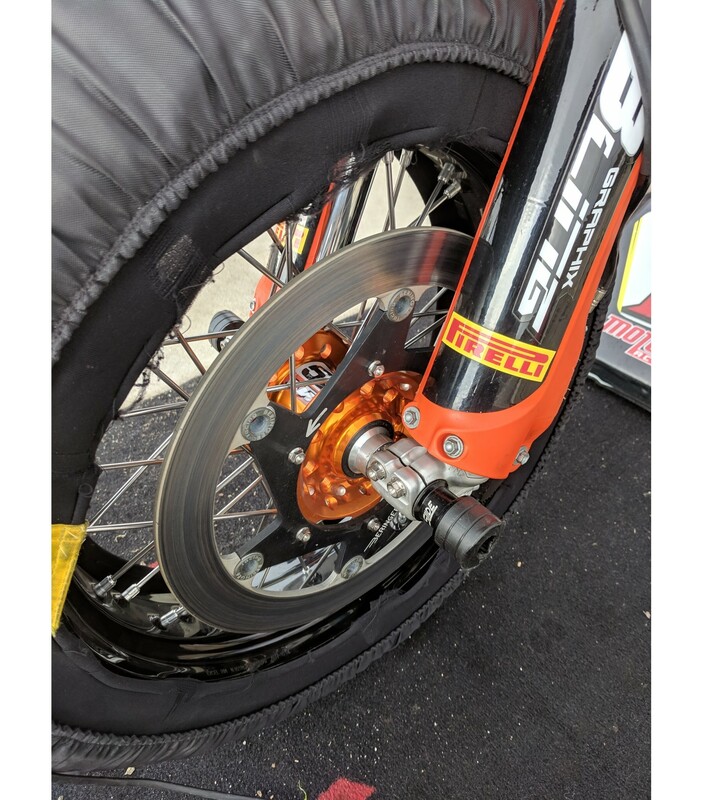 The right side slider is secured into the end of the axle and becomes a very handy "axle pull" for use during tire changes. 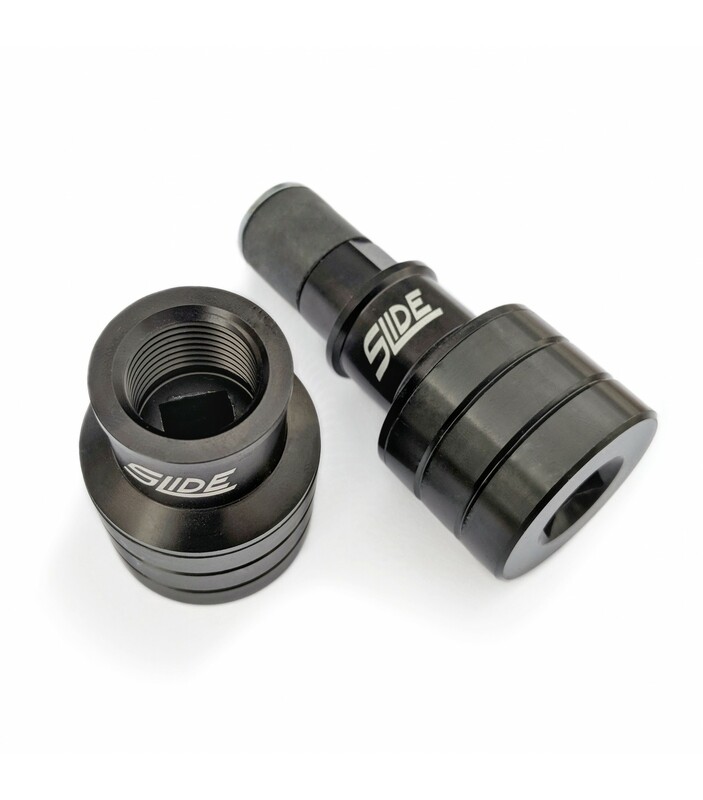 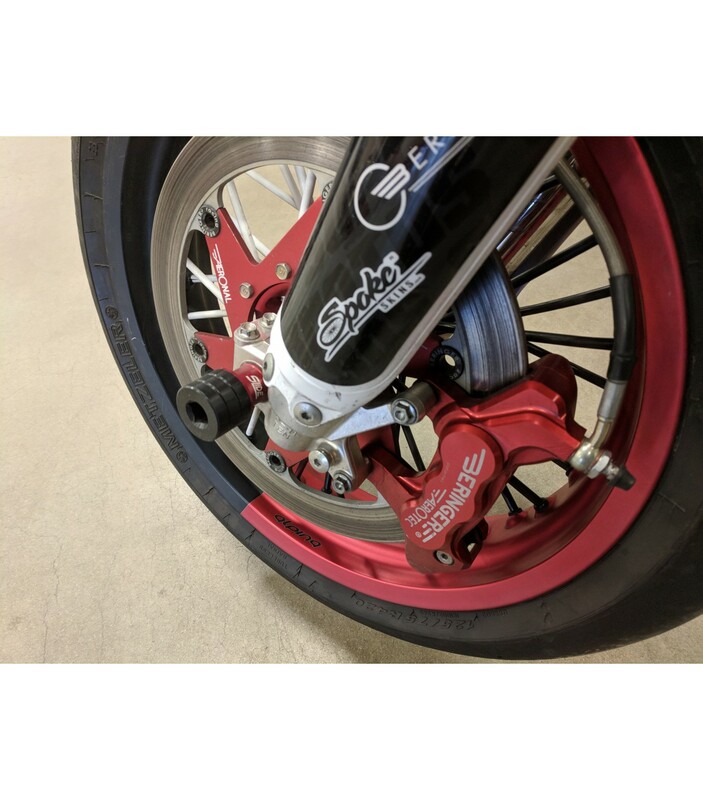 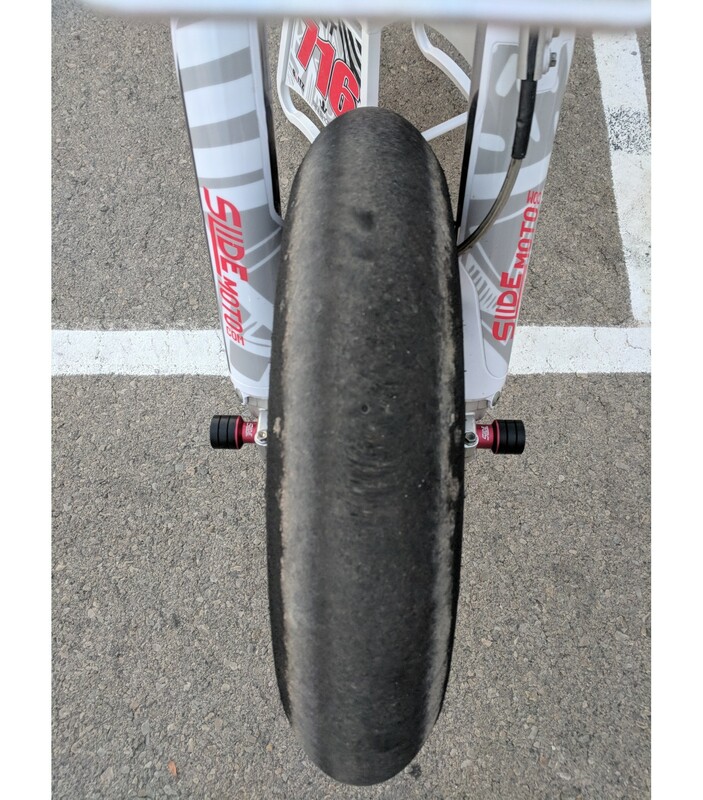 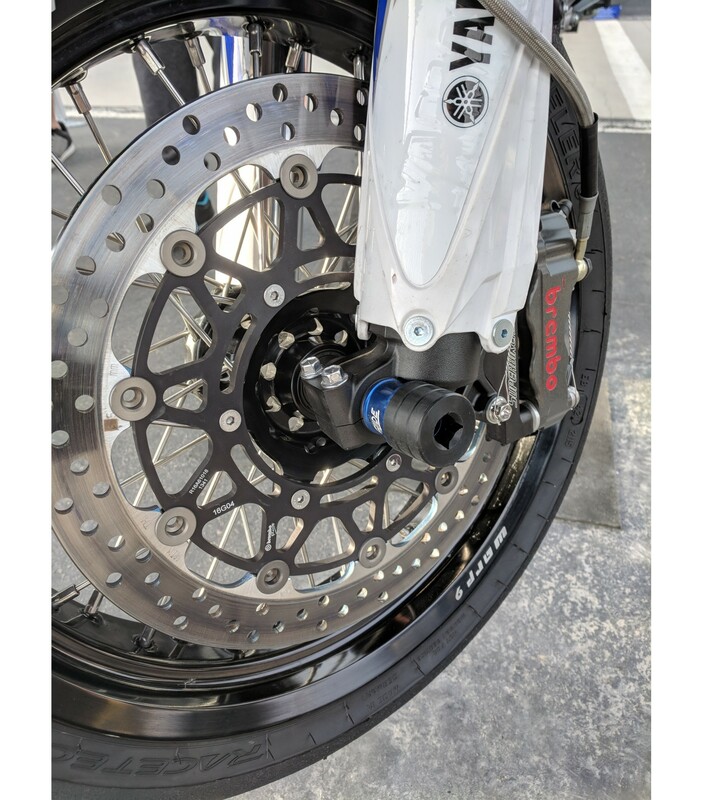 The left side is a replacement axle nut (or bolt depending on models) and features a 3/8" square drive to use with any handy socket extension, Y wrench, etc... NO SOCKET NEEDED to remove the front wheel, SO IT SAVES YOU TIME! 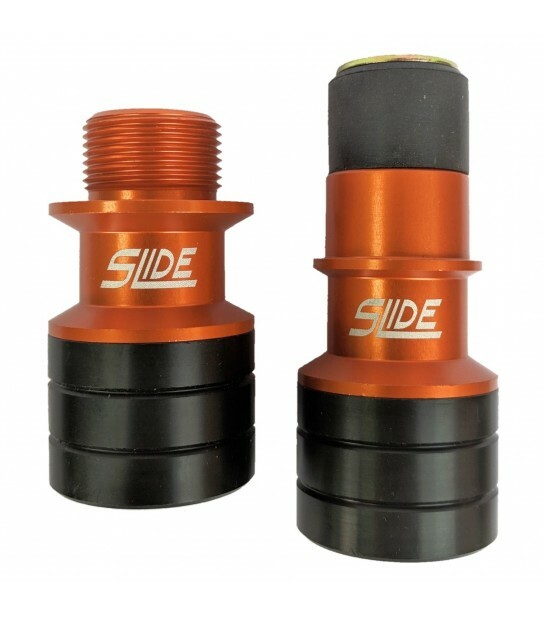 With the SLIDE axle sliders, there are NO additional parts to remove for a tire change other than the axle nut itself! 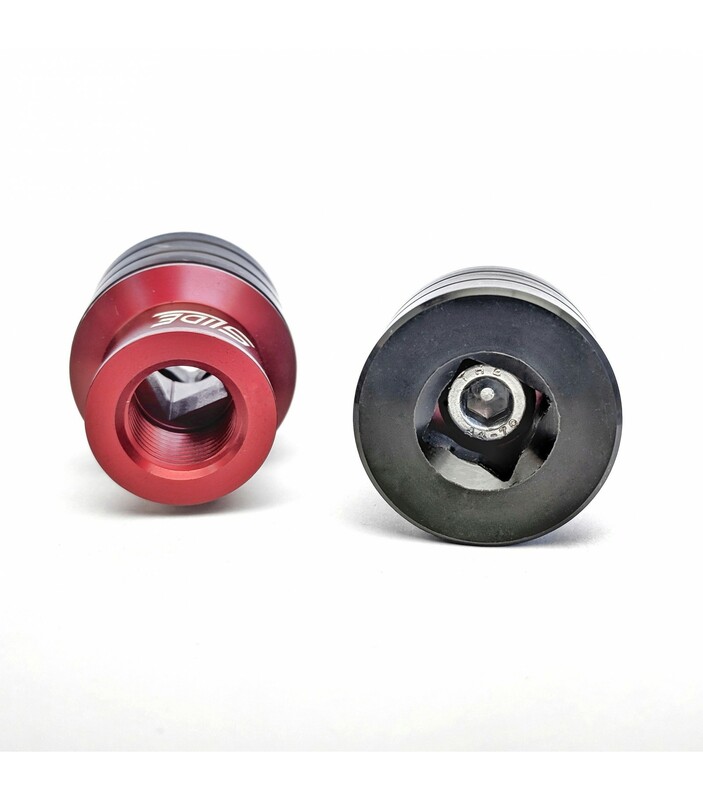 What's UHMW-PE and why not Delrin? 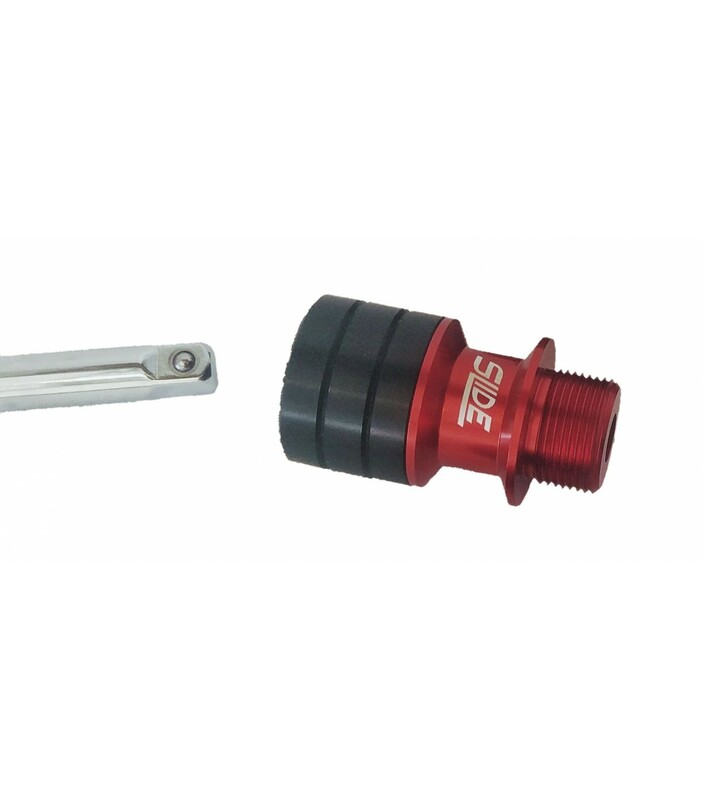 UHMW-PE, also shortened to UHMW, stands for Ultra-High-Molecular-Weight-PolyEthylene. 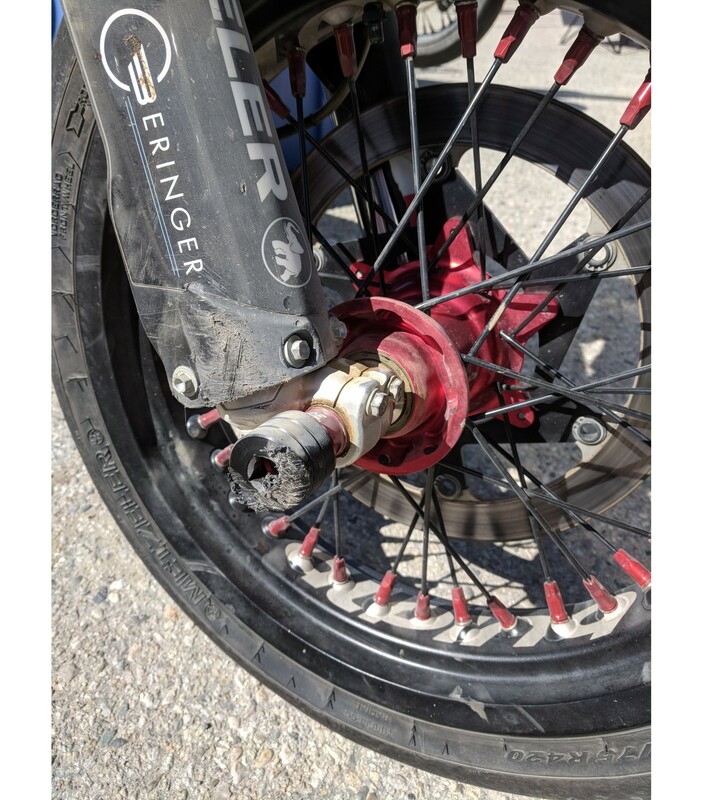 It's awesome for wear items like sliders, chain guides, and even skid plates on 4x4 buggies! 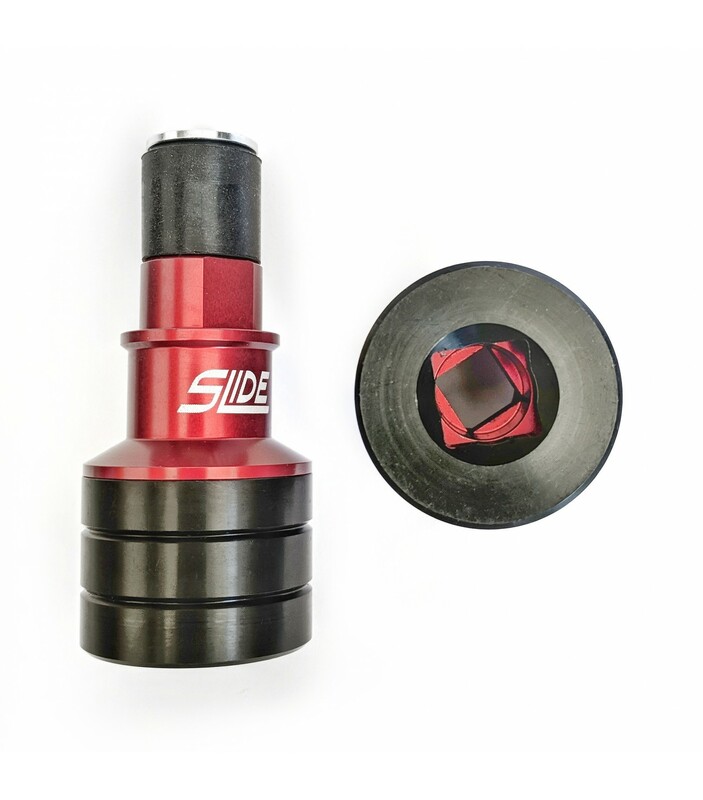 Delrin machines easier, but UHMW-PE has a lower coefficient of friction (it slides better) and wears slower. 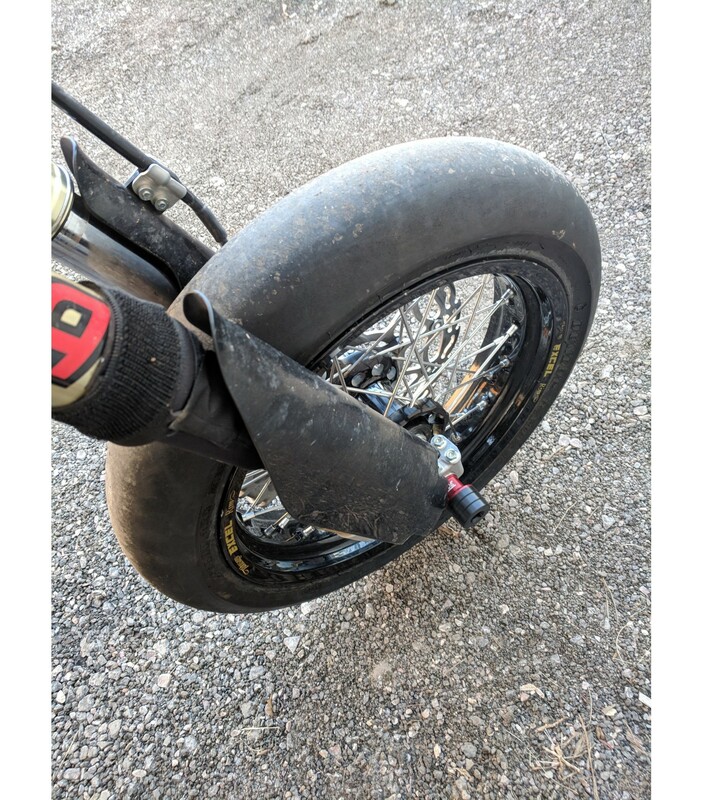 That's why we use it, it's ideal for protecting your bike.